In Blind Date Bet (Man’s Best Friend #1) by Nicole Flockton, after losing her husband to a freak accident, Isabella Knowles swore off military men. However, when she’s set up on a blind date with Ethan Masters, she finds herself torn between the promise she made to herself and finally moving on with someone new, especially since Ethan is a very intriguing man she realizes she’d like to get to know better. 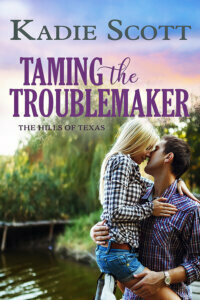 Will Isabella take a chance or will she walk away? ”If this is how you act around women, it’s no wonder you have to be set up on blind dates.” He flinched, but all she wanted was to get away. Away from the memories that threatened to overwhelm her being around him. This story could have gone either way for me when I first started reading. Either I was really going to enjoy this story or I was going to be really frustrated by it because Isabella is such a witch. Well, not literally, but the way she treats Ethan all because she has hang-ups about finding herself attracted to another military man and wishing she wasn’t just really frustrated me. However, I must admit I really enjoyed this story in the end, as Isabella begins to realize that a person can’t help who they’re attracted to. Then again, there are no guarantees in life, so one should take any chance at happiness they are given. As for the dialogue, it was entertaining due to the main characters back stories and the obstacles these two face to be together, especially the biggest obstacle of all in whether Isabella can fully get over losing someone she loved and being able to move forward with a man that can very easily get just as hurt as the man she loved. Will she be able to handle the dangers of Ethan’s career as a military man? Moreover, I loved the character progression of both the hero and heroine, as Ethan does his best to win the heroine over and the heroine comes to the realization that Ethan is the man for her. Really, she’s strong, brave and I loved the tight bond she shares with her best friend; a woman that does her best to help the heroine move forward and make her realize that her life isn’t over just because she loved someone she lost. While the hero, I absolutely loved Ethan. He’s charming and very understanding of the heroine’s desire not to get involved with another military man after what happened to her husband. 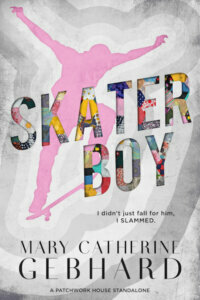 Yet, what I liked most about the hero was how determined he was to win the heroine over and the close bonds he shares with his friends that like to tease him about his new relationship. A speculative gleam entered Meredith’s eyes. Uh-oh, had she made the situation worse? Overall, Ms. Flockton has delivered a really good read in this book, even though the hero’s dog wasn’t in the story as much as I would have hoped; and where I loved the growing relationship between these two. Their chemistry was tangible from the moment they met; the romance delightful, as Isabella takes a chance on Ethan; and the ending had me cheering for this couple’s happy ever after, as the heroine begins to realize that love is worth fighting for. However, it was the epilogue that wrapped this story up perfectly because of the wonderful surprise Isabella had for Ethan, which had me crying happy tears because these two have so much happiness to look forward to. 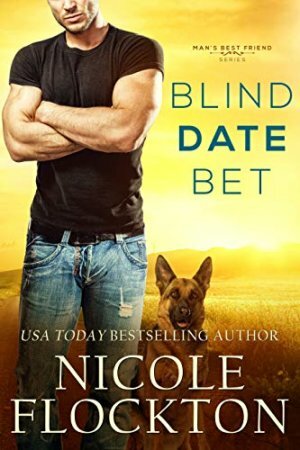 I would recommend Blind Date Bet by Nicole Flockton, if you enjoy second chance romances, stories encompassing military heroes, or books by authors Susan Stoker, Abigail Owen, Lindsay Cross and Kaylea Cross. Sounds like a great book! Can’t wait to read the book.